Charlotte Matthews with Victoria Rowlette and Anya Rehetiloff steered Rushin' Rowlette to victory in the 2016 Willy T Virgin's Cup racing class. Thirteen boats registered to race in the 27th edition of the Willy T Virgin's Cup on Saturday 15 October. Racing in three classes got underway from Nanny Cay in a light but building breeze. 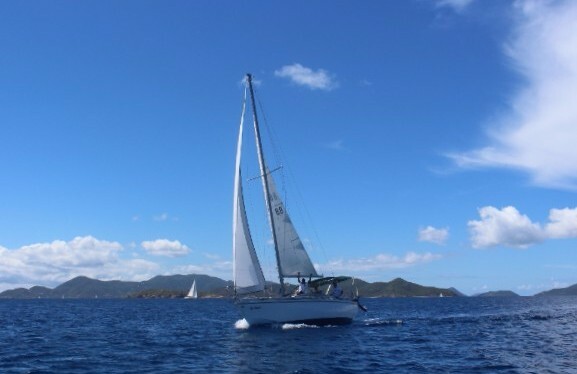 The course took the fleet up to Road Town before scooting across the Sir Francis Drake Channel for the after party and prize giving at the Willy T.
In accordance with tradition, all the boats were helmed by female sailors with a spectacular turn out illustrating the depth of women's sailing in the BVI. Of the 61 sailors on the race course, just under 50% (29) were female with the experienced hands mixing it up with some of the RBVIYC's newest green fleet Optimist racers. First away were the cruising boats in the jib and main class, with slow progress for all boats on the upwind leg to Lark Bank off the entrance to Road Town Harbour. Taking line honours and the overall win was Gypsea, a Hunter 34 SD skippered by Karen Fletcher. Leslie Cramer steered Kishorn to second place with Sapphire Breeze helmed by Steevie Stradley taking third. Two Jeanneau Sun Odysseys competed for honours in the performance cruising division, the 40ft Girasoli and the 42ft Reverie. Their course took them upwind to the Hog Valley Green buoy, and across the channel to complete a figure of eight around Flannigan, Pelican and the Indians before finishing at the entrance to the Bight. The win went to Judy Petz skippering Girasoli with Pearline Williams and Angelica taking second on Reverie. 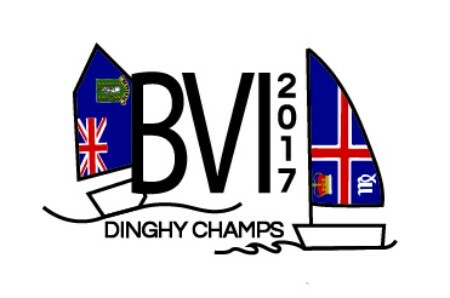 In the seven boat racing class the ladies easily outnumbered the men with several Virgin's Cup virgins taking on the 2016 challenge and two all girl crews in the IC24s. Line honours and the overall win went to Rushin' Rowlette skippered by Charlotte Matthews, Victoria Rowlette and Anya Reshetiloff. 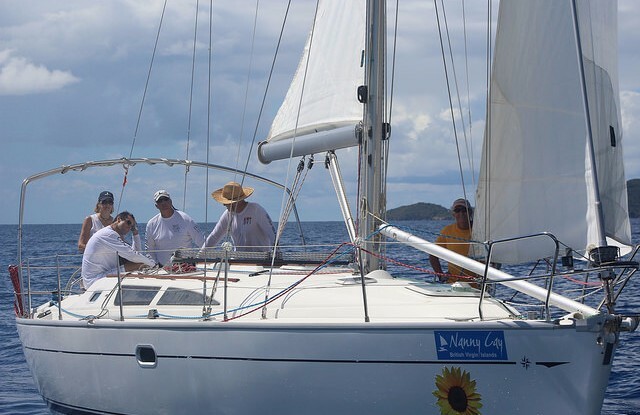 Judy Haycraft helming Latitude 18 with husband Chris and their eldest son Nathan came in second on corrected time with another IC24, INTAC helmed by Kay Reddy and Amanda Plaxton finishing third. 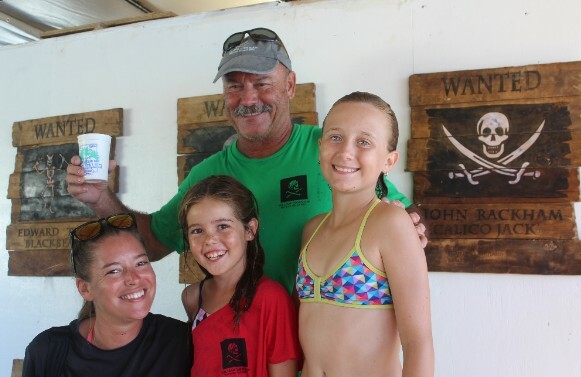 Thank you to all the competitors, the race committee, to our sponsors TICO, our partners at Nanny Cay and of course the legendary Willy T for providing the prizes, shirts and the after party. Visit our new Flickr Page for more photos.